News that Planned Parenthood lost a few million dollars to a pro-life healthcare company has sent a shockwave through an abortion industry that, up to now, had a virtual monopoly in Title X family planning money. Few believed it was even possible to wrestle public monies away from the nation’s No. 1 abortion vendor. Yet a $1.7 million annual grant that could have gone to Planned Parenthood has instead been awarded to the Obria Group, a chain of pregnancy care centers that provide comprehensive and life-affirming care to low-income women and men across the country. Many have speculated that the award was made possible by changes the Trump administration made to Title X regulations, but in fact, the new regulations don’t even take effect until May 3. That means Obria was able to qualify even under current Title X regulations. This demonstrates two things: first, that there are already better options to meet the healthcare needs of women than abortion clinics, and second, that having a pro-life administration from the top down can make a difference. Obria is not faith-based. But it is pro-life. Its success shows that unbiased grant reviewers, the kind who don’t discriminate against comprehensive health centers that don’t perform abortions, can open up more opportunities and allow for a robust array of healthcare providers to better meet women’s needs. The Left calls places like Obria’s pregnancy care centers “fake clinics” simply because they do not perform abortions. But in reality they provide a wide range of healthcare services like pregnancy testing and counseling, prenatal care through delivery, HIV/AIDS testing, pregnancy ultrasound, breast and cervical cancer testing, well-woman care and pap smears, STD testing and treatment, sexual risk avoidance education, adoption referral, and post-abortion support. Kathleen Eaton Bravo, founder and CEO of Obria, said in response to the grant announcement: “Many women want the opportunity to visit a professional, comprehensive healthcare facility — not an abortion clinic — for their healthcare needs; this grant will give them that choice.” It is good news that Obria is set to receive $5.1 million over the course of three years. Grantees like Obria prove that there can be better and more comprehensive care for women. The recent changes to the Title X family planning regulations are set to take effect in May. They would restore the Reagan-era prohibition on co-location of Title X programs with abortion providers. For a program to receive Title X funds, it would not be permitted to provide, promote, or refer for abortions. This ensures that taxpayer dollars are not sent to programs where they end up subsidizing the abortion industry. There are still several Planned Parenthood clinics set to receive grants this year, but they will only maintain this funding as long as they abide by the new regulations. Grantees whose family planning services are co-located with abortion services have one year to comply with the new rules,but Planned Parenthood President Lena Wen has already stated they have no plans for compliance. As with so many other things that put more accountability on the abortion industry, the Left may take this to the courts. Thankfully, the legal precedents pertaining to this are not necessarily in Planned Parenthood’s favor. By law, Title X funds were never meant to be used in programs where abortion is a method of family planning, so revising the regulations and including pro-life entities in awards are consequential steps toward upholding the integrity of the law. By prohibiting abortion referrals and changing the selection criteria for grant proposals, pro-life and faith-based health centers can now take advantage of the opportunity to apply for Title X funding without compromising their beliefs on abortion. The new Title X regulations should encourage groups who previously could not apply for Title X funds to do so, and should encourage states that receive Title X funds to sub-grant the money to organizations dedicated to providing family planning options to women that do not include abortion services. Among the types of health centers that will be able to access Title X family planning funds are Federally Qualified Health Centers (over 11,000 centers), Rural Health Centers (over 4,000 centers) and Pregnancy Resource Centers (over 2,000 centers), who can offer a broader array of health services to women than Planned Parenthood. While abortion suppliers such as Planned Parenthood have been receiving Title X funding, they offer a narrower scope of healthcare services than Federally Qualified Health Centers, and do not even offer basic family planning services recommended by the Centers for Disease Control and Prevention. 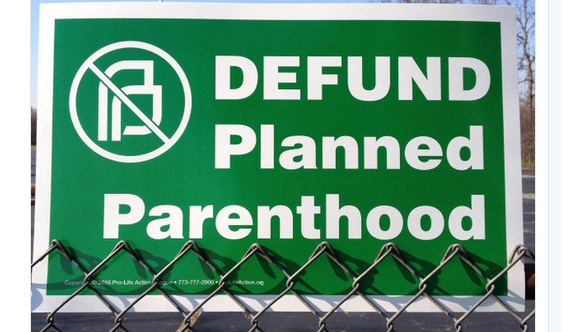 At the same time, Planned Parenthood’s offered services have been steadily declining. From 2009 to 2017, breast exams at Planned Parenthood steadily dropped by nearly two-thirds (64%). Cancer screening and prevention programs at Planned Parenthood decreased by even more (66%), and prenatal services declined by a whopping 77%. Moreover, according to Planned Parenthood’s 2017-2018 report, out of total services for pregnant women (adoption referrals, prenatal services, and abortion), abortion made up over 96% of what they do. That stands in stark contrast to the “3 percent” myth they have offered in the past to downplay their status as the provider of 35% to 40% of all U.S. abortions annually. Thankfully, instead of funneling money to abortion providers like Planned Parenthood, the new Title X rules will allow for a robust array of healthcare providers to better meet women’s needs. It’s good to see pro-life health centers that actually fit the actual statutory requirements of Title X finally get support. Women should not have to go to abortion clinics for healthcare. LifeNews Note: Patrina Mosley serves as the director of Life, Culture and Women’s Advocacy at the Family Research Council.